SP Jain School of Global Management’s Information Technology Management Conclave (SP Jain IT Management Conclave) is a unique platform for businessmen, leaders, Information and Communications Technology (ICT) professionals and academia to understand the key ICT trends and assess its impact on the industry sectors, enterprises and workforce. The SP Jain IT Management Conclave fosters collaborative knowledge creation through research, sharing of case studies and best practices on issues pertaining to digital innovation, leadership and governance. The SP Jain IT Management Conclave will focus on understanding the qualities of a digital leader, key challenges of digital governance faced by organisations and critical factors for building successful digital enterprises. The automation of work and the digital disruption of business models place a premium on leaders who can create a vision of change and frame it positively. The digital age requires us to rethink traditional leadership and command and control-based governance as it cannot scale to meet the requirements of digitally enabled businesses. IT leaders and professionals need to reset governance based on outcomes that deliver sustainable enterprise value fit for digital business. SP Jain School of Global Management (SP Jain) is an Australian technology-led business school with campuses in Dubai, Singapore, Sydney and Mumbai. In less than 14 years, SP Jain has gained recognition in reputed publications. Our programs have been ranked by Forbes, The Economist and Financial Times, just to name a few. Globally intelligent and culturally agile, the SP Jain student can adapt to new situations with ease and finesse and is more than ready to take on the global challenges of the 21st century. SP Jain School of Global Management is conducting an industry survey targeting businessmen, leaders and ICT professionals across four locations - Singapore, India, Sydney and Dubai. The survey aims to understand the attributes and qualities of a digital leader, organisational issues, key challenges of digital governance and the action plans of enterprises to overcome these challenges in this digital age. The key trends and findings of the survey will be presented at the SP Jain IT Management Conclave 2018. The industry survey aims to understand the key challenges/issues of digital governance faced by organisations, attributes/ qualities of a digital leader and critical factors for building successful digital enterprises. The panel members will share their insights on building successful digital enterprises and how to overcome the implementation challenges. 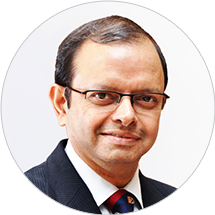 VK Menon is the Chief Executive Officer, India at SP Jain School of Global Management. He is a BE from NIT Trichy and a PGDM (MBA) from Indian Institute of Management, Bangalore (IIMB). 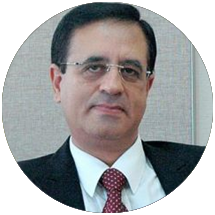 He has extensive experience in the corporate and education sector, having worked with Nelco, Philips, Escorts Communication, BPL US west, SDM IMD, Indian School of Business (ISB) and IIMB. He was Head Sales, Marketing and Service Delivery (Kerala) for BPL US West and prior to that the National Sales Manager for Escorts Communication. After 18 years in Corporate, he switched to Academics, becoming a professor of Marketing at SDM IMD. He then joined ISB, in Senior Management, where he was the Senior Director, managing Placements, Admissions and Financial Aid. After being in ISB for 10 years, in 2015, he joined IIMB as its Chief Development Officer, working on Industry and Alumni Partnerships. He also set up a consolidated marketing structure across the five flagship long duration programmes at IIMB, managing brand positioning and outreach in both admissions and placements. Dr. Ganesh Natarajan has over 30 years of industry experience including 25 years as CEO for Aptech & Zensar Technologies. His areas of expertise are Manufacturing, Information Technology Franchising and Education. He is a PhD from IIT-Bombay and an alumnus of NITIE and Harvard Business School. He has led Innovation and Knowledge Management Initiative nationally for CII and NASSCOM and has been Chairman of NASSCOM and NASSCOM Foundation. Case studies on Ganesh and Zensar have been developed and taught at the Harvard Business School. Purshottam Purswani, Chief Technologist, Head of Digital at Atos India, has more than 20 years cross-industry IT experience in the Telecom, Manufacturing and Financial sectors. Purshottam is responsible for the strategy and driving innovation for local and multi-national customers. In his role, he displays thought leadership with regards to using business technology to address the current and future challenges faced by organisations. 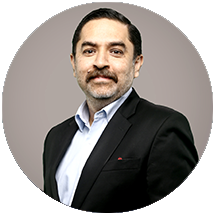 As a member of the Atos Scientific Community and an Atos Distinguished Expert, Purshottam works on digital technologies around IoT, IIOT, Cloud, Big Data, AI, Blockchain, AR/VR/Mixed Reality, Machine Learning, etc. His views have been featured in media portals like Business World, CIOL, ETCIO and TimesJobs. 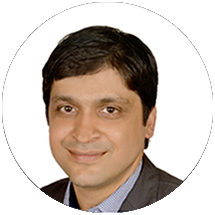 Rohit Gandhi leads Accenture’s Application Services business for the Products industries in Asia Pacific, Middle East and Africa. Rohit has been working in Accenture for close to 3 years. He has significantly grown the business and his team has helped clients transform to become successful digital enterprises by leveraging areas such as IoT, Analytics, Blockchain and Mobility. Rohit has been working in Growth Markets for more than 20 years. His other stints include Tech Mahindra, HCL Technologies and Fujitsu ICIM. He is regularly quoted in the media on industry issues and is invited to, and speaks at, conferences including the World Economic Forum and World Knowledge Forum. 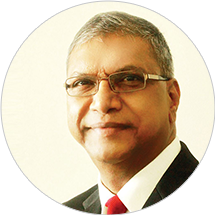 Dr. Karippur Nanda Kumar has over 30 years of experience as a leader and scholar-practitioner in the ICT industry. He was involved in developing several national ICT Master plans over two decades in Singapore and rolled out several national collaborative initiatives successfully for ICT talent development in partnership with leading industry players, associations and Institutes of Higher Learning. Dr. Kumar is a Fellow of Singapore Computer Society and actively involved in applied research in areas such as ICT Policies, Change Management, Innovation and Digital Transformation. 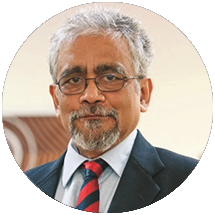 Dr. Karippur Nanda Kumar has over 30 years of experience as a leader and scholar-practitioner in the ICT industry. He was involved in developing many national ICT Master plans over two decades in Singapore and rolled out several national collaborative initiatives successfully for ICT talent development in partnership with leading industry players, associations and Institutes of Higher Learning. 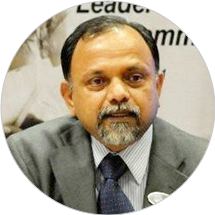 Dr. Kumar is a Fellow of Singapore Computer Society and actively involved in applied research in areas such as ICT Policies, Change Management, Innovation and Digital Transformation. 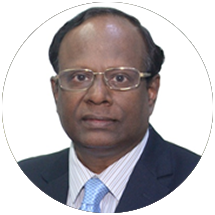 Dr. Balakrishna Grandhi is the Dean - Global MBA & MGB, Area Head and Professor (Marketing & Strategy) at SP Jain School of Global Management. He has a passion to build teams for delivering high impact learning. A PhD and MBA from Carlson School of Management (US), Dr. Grandhi has over four decades of experience in industry and academics, as a teacher/consultant/entrepreneur/practitioner, across the US, Canada, Dubai and India. His areas of expertise include Strategic Marketing, MARKSTRAT, Marketing Analytics, B2B Marketing, Blue Ocean Strategy, Customer and Product Portfolio Management and Strategic Retailing. 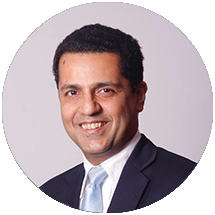 Dr. Grandhi is a member of the American Marketing Association (AMA), a Fellow of Chartered Institute Marketing (UK) and Country Director of UAE for EuroMed Research Business Institute. He received the Doctoral Research Grant from the AMA in 1976. For his PhD program, he was awarded the Medical Data Reports Inc fellowship and Jack L Hurley grant. Anil Goel has two decades of diverse and unique blend of experience across creative thought leadership, technology evangelism, program and project delivery, and a deep understanding of the most disrupted industry of this generation - media and entertainment. Anil has been developing digital platforms since 1997. He gained experience in setting up organisation structures and technology platforms as part of company mergers with rediff.com at an early age of 23. He has collaborated with Shah Rukh Khan to help him set up technology systems for B4U-funded www.srkworld.com, a platform that was way ahead of its time in 1999-2000. He has also worked with India’s biggest broadcaster, Star India, and helped the company redefine the game in digital with the aggressive launch of starsports.com and hotstar.com. Lately, Anil has been building digital and analytical architectures and solutions for clients across the world. An alumnus of IIT Bombay and ISB Hyderabad, Abhishek Kothari is the co-founder of the Mumbai-based digital lending platform, FlexiLoans.com. He is a Data Science and Technology professional with a rich experience and in-depth understanding of the FinTech landscape. Abhishek has helped transform more than 50 banks in his career spanning across US and UK and has offered solutions related to Big Data, Machine Learning, Digital Analytics, Marketing Analytics and Risk Analytics. He has managed strategic programs and led large teams that have provided significant financial upside to organisations across the globe, thus giving him a wide exposure to best practices in multiple industries. His areas of interest include everything that technology and data can make possible. He has worked for companies like Fractal Analytics, Barclaycard, EXL, Inductis and Dell in the past. Uday Sodhi has been heading the digital and new media business at Sony Pictures Networks (SPN) India for the SonyLIV platform since 2014. At SPN, he is responsible for driving SPN’s OTT platform’s growth trajectory and revenue streams of the new media initiatives by broadening the networks’ horizons to digital and mobile businesses. Uday has over 27 years of experience across varied broadcast and digital business verticals. He has held leading positions in companies like HeadHonchos.com, Rediff.com, Balaji Telefilms, Net4India and Bausch and Lomb India, among others, in the past. He has led digital businesses such as OTT, Digital Video, Digital Entertainment and Mobile Entertainment, Mobile VAS, Online Recruitment, Online Classified, Search, Ecommerce, Web Hosting and VoIP in India. Dr. Debashis Guha has more than two decades of experience in data analytics and machine learning with an emphasis on economic and financial applications. 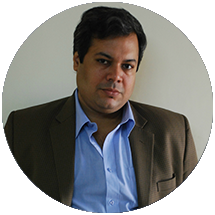 He is also the founder and Managing Partner of a Bangalore-based data analytics company and has consulted for governments, central banks, multinational corporations and financial institutions across the world, and has taught in both USA and India. Dr. Guha is a graduate of IIT Kharagpur and has a PhD from Columbia University in New York. Geet Lulla is Managing Director, India, Middle East and Southeast Asia for Gracenote. 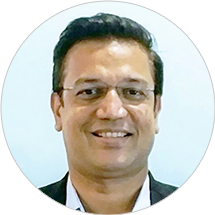 He is responsible for overseeing regional operations across Gracenote’s Video, Sports and Music verticals as well as delivering innovative solutions to entertainment providers, media and technology customers in those emerging markets. 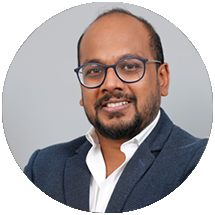 Prior to joining Gracenote in 2016, Geet was Director, Management Consulting for KPMG India where he spearheaded sales of service offerings including Strategy, People & Change, InfoSec, IT and CRM. Earlier, he acted as Head, Consulting Sales for SAP India with the responsibility of selling the company’s diverse portfolio of professional services in the India, Sri Lanka and Bangladesh markets. Throughout his 25-year career, Geet has worked with a range of top-tier global technology and data companies including Avaya, Experian, IBM and Oracle. Geet earned a Bachelor of Engineering degree from the College of Engineering, Pravaranagar, India, graduating first in his class with distinction. 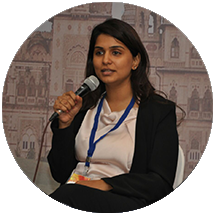 Deepa Ranjeet (Deepa Jeswani) is a thought leader in the digital arena. She has recently joined the Mahindra Strategy Group in the Digital area as a Senior General Manager and is responsible for working with the Group companies to transform digitally. Prior to this, she was a Senior Director with Capgemini Consulting, India. Deepa has over 16 years of industry experience. She has been predominantly working in the Digital Consulting and Analytics field in the last couple of years and specialises in engagements in the Customer/Consumer experience space. She has also worked in other sectors like Life Sciences, Telecom and Media and Entertainment. She has a Master’s in e-Business and B.E. in Electronics. 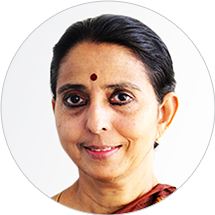 Dr. Uma Ganesh is an expert in Skills, Education and national and international franchising. Her leadership roles have been at NIIT, APTECH, Zee Education and HSBC Global Resourcing. She is an MBA and PhD from IIT Bombay. Uma has held leadership responsibilities for various forums at MHRD Network, Bombay Management Association, CII and Indian Women’s Network. She writes a regular column in the Financial Express on the subjects of Skills, Digital and Economy. Rajiv Singh has 21 years of industry experience with a background in Electronics Engineering, MBA in Marketing and PGCM from IIM-Kozhikode. He is currently the Head - Ad Sales and Monetization, Digital Business at SonyLiv. In the past, he has held leadership roles in Network18 Digital, Flipkart, Star India, Amagi Media Labs and Radio Mirchi, among other companies. 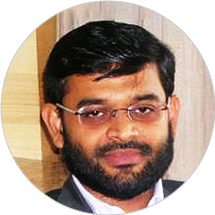 Aslam Khan has over 17 years of experience in technology, strategy, management and entrepreneurship. He has worked for several Fortune 500 companies and startups in USA and Japan. After returning to India in 2005, he founded Octaware Technologies and headed a team of young enterprising professionals. In three years, he led the company from inception to profitability in a challenging business environment. The organisation has now grown to a multimillion-dollar firm with presence in 7 countries and serving customers across the globe. The deadline for registration is 15th November 2018. To RSVP for the event, register below.